Well - what a term this has been! 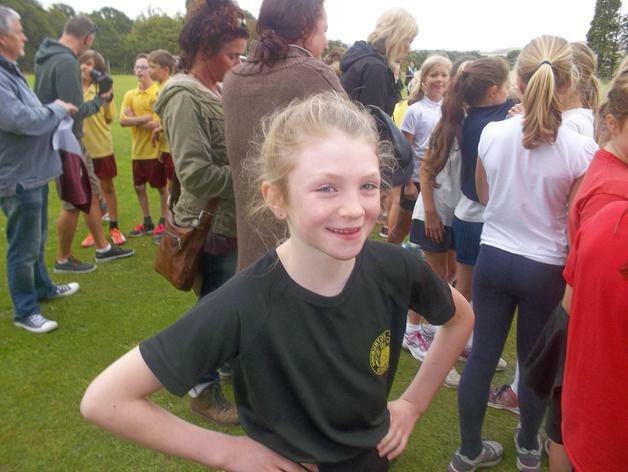 I am pleased to report that our Golden Mile has been very successful and we have smashed our first target of running 150 miles as a school and have achieved an amazing 1625 miles. 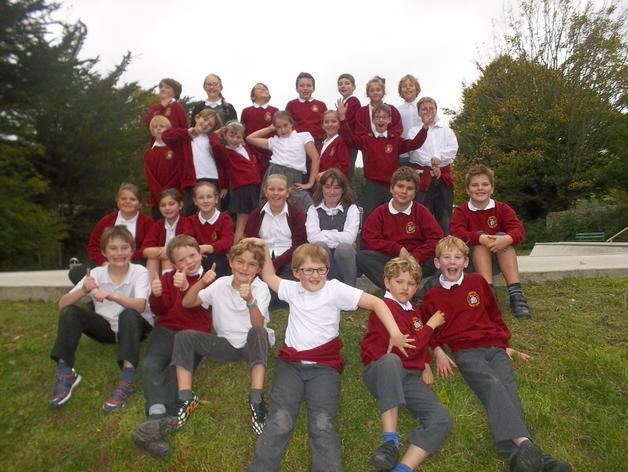 We also have over 30% of our children who have run 10 miles which is an amazing achievement. However, the success hasn't stopped there! 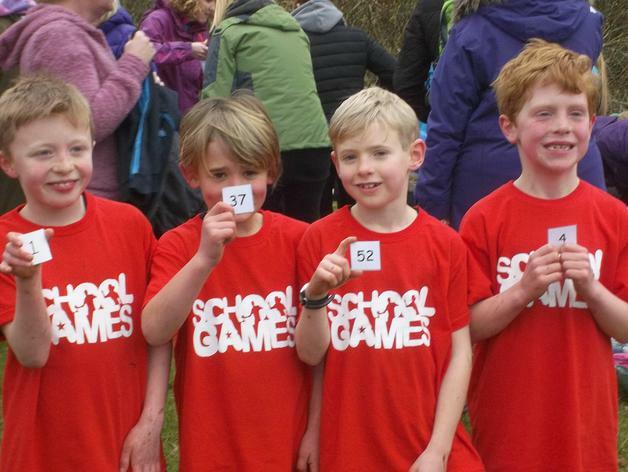 Over 20 children represented our school at the Sports Partnership Cross Country event in March. 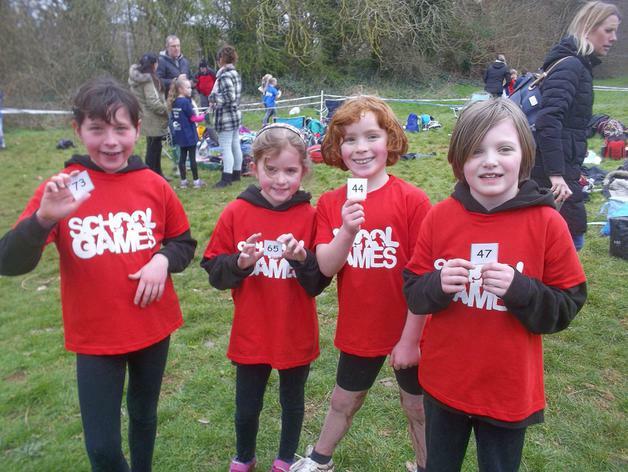 All of our runners were fantastic and our year 3/4 team came first and qualified for the Devon Winter Games. 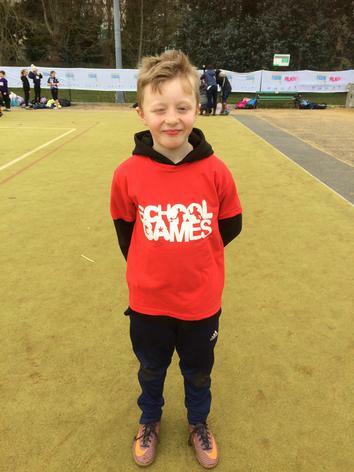 At the games, our teams once again ran brilliantly and Ethan in year 4 came first - what an achievement! 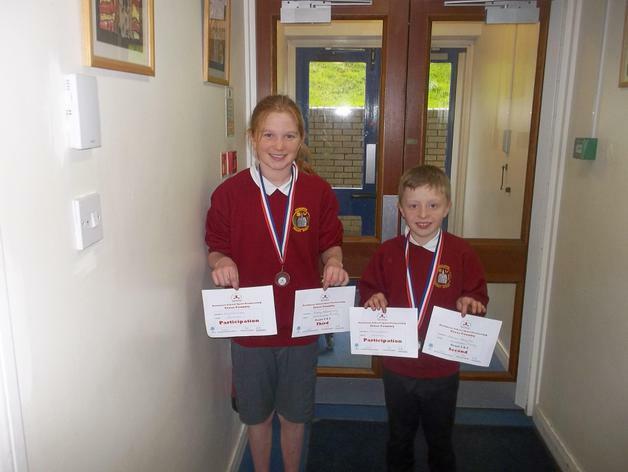 Following this success, we entered four teams for a gymnastic tournament held at SDCC and our year 3/4 teams both came first and our year 5/6 teams both came second. 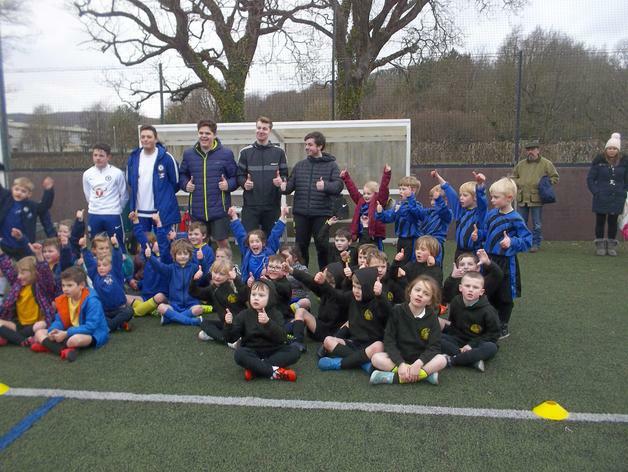 This meant that all of teams then qualified for the Partnership Finals - well done to all 24 children who took part. 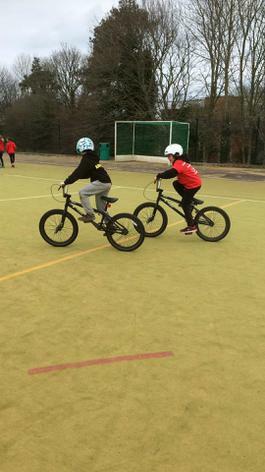 Bikeability training for children in year 6 with all 18 children achieving their Level 2 award. Year 1 and year 6 taking part in dance festivals. 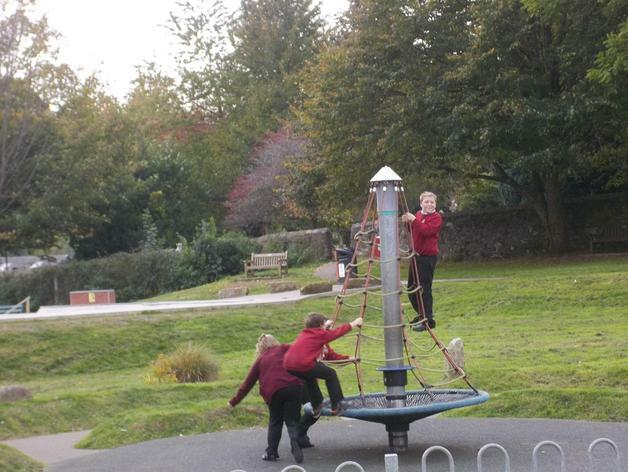 Our Playcrew have had an Ultimate Frisbee session to reward them for their hard work in keeping lunchtimes active. 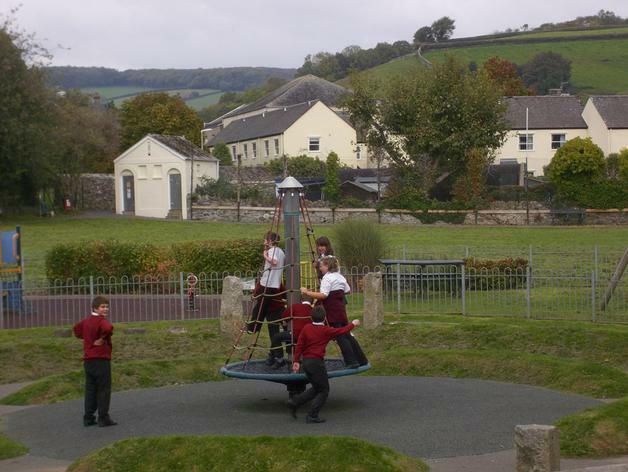 Lunchtime activity sessions for children across the school. 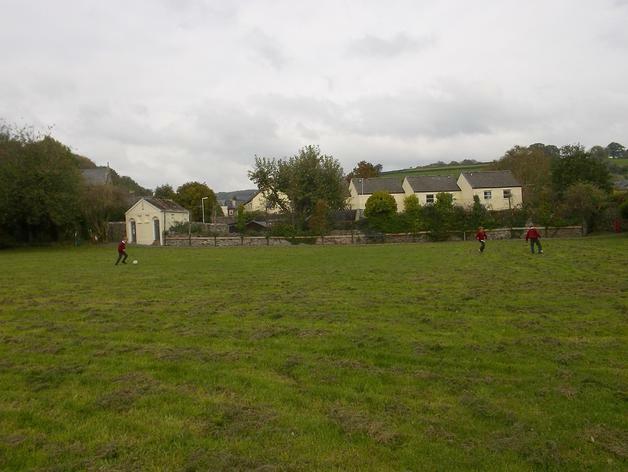 We are now looking forward to the summer and hopefully some warmer weather and are preparing for swimming, Dartmoor 3Ball games and our school Sports Days. 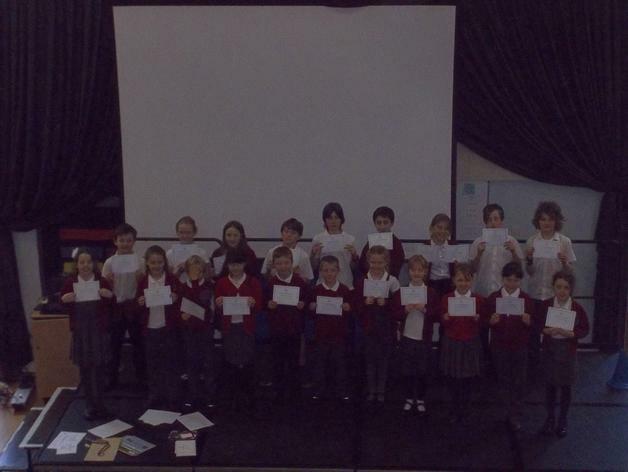 Well done everyone and keep up the fantastic work! 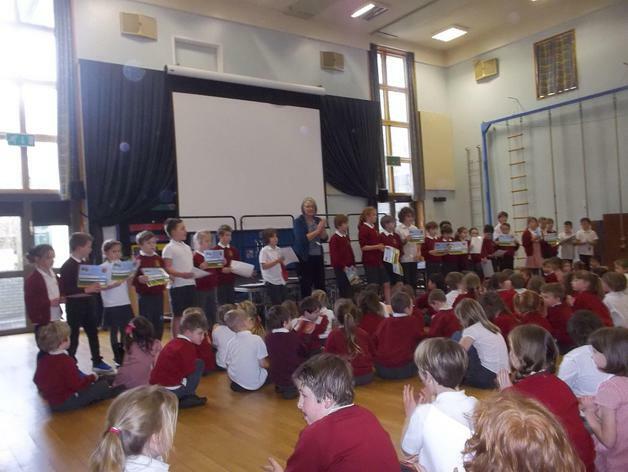 We have had a busy half term of PE and sporting events. 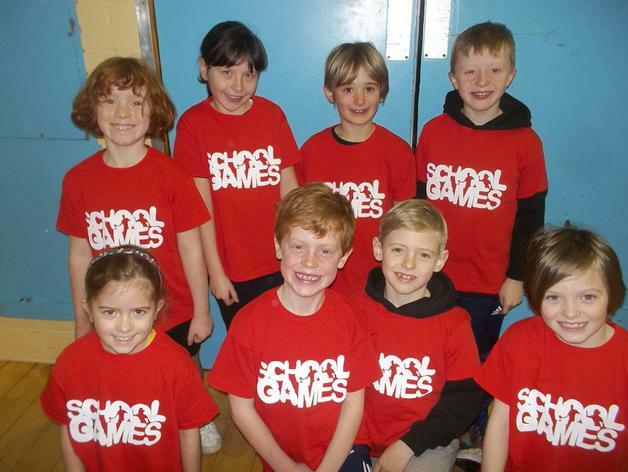 Key Stage 2 have been focusing on Invasion Games and learning how to play High 5 Netball. Key Stage 1 have been developing many of the fundamental skills for PE through playing a range of games and learning to move their bodies in different ways. 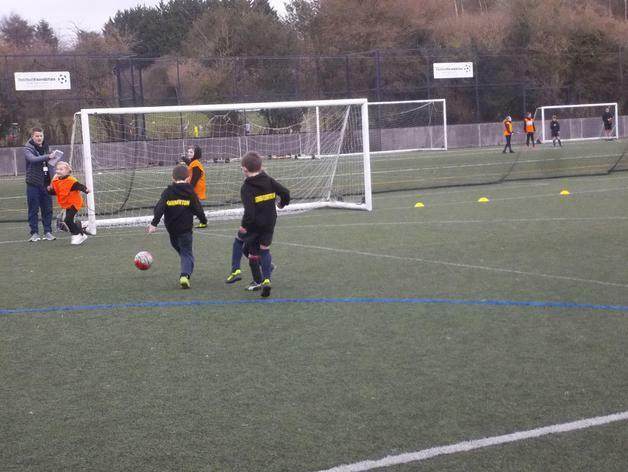 We have also had the opportunity to take part in different sporting events this half term. 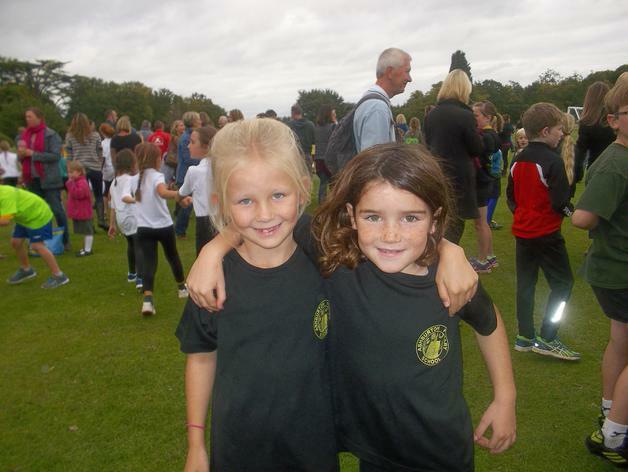 Twenty four children took part in a cross country event; a team of children from year 2 went to a football festival (and won their group); one of our children attended a SEND event to help children to access PE activities and finally our class of children in year 6 went to a festival to have the opportunity to play netball with children from other schools. 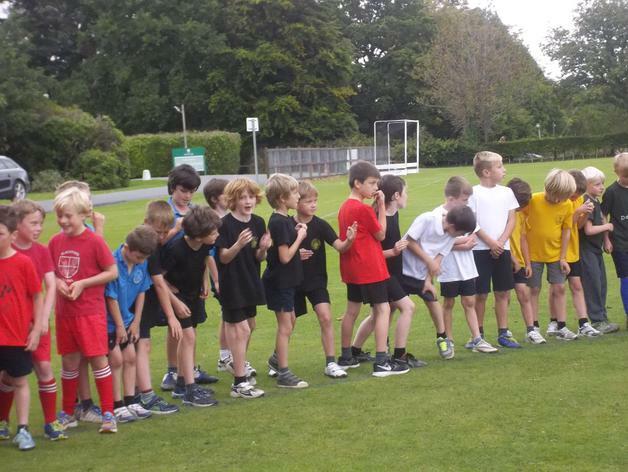 Next half term we will be setting up the 'Golden Mile' for each class. More information will be coming out after half term. 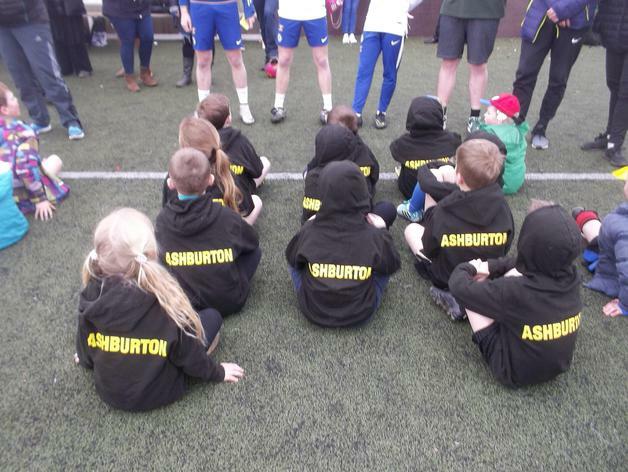 Here at Ashburton Primary School PE and sport is an important part of each and every day. 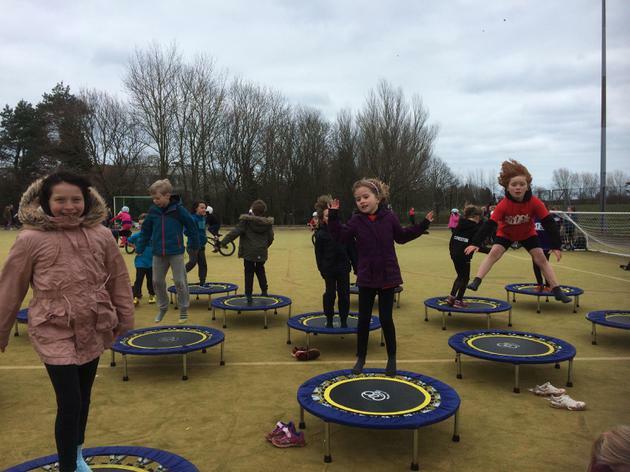 DPA (Daily Physical Activity) is encouraged in all classes and it is an opportunity for the children to have a 'brain break' whilst improving their fitness and energy levels. 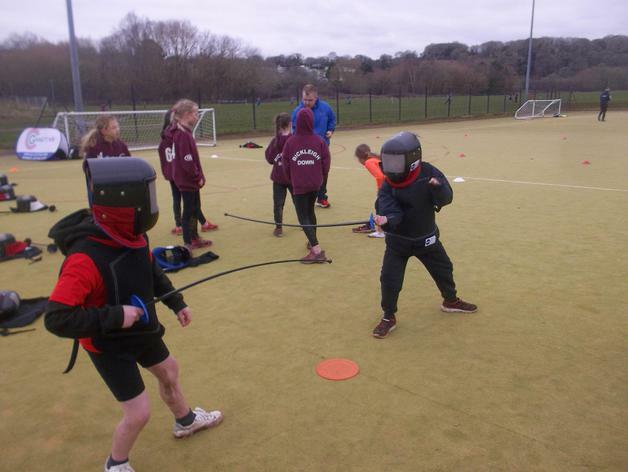 Through the Dartmoor School Sports Partnership we are fortunate to have access to a range of sports coaches who support us in delivering high quality teaching to the children in a range of different sports. 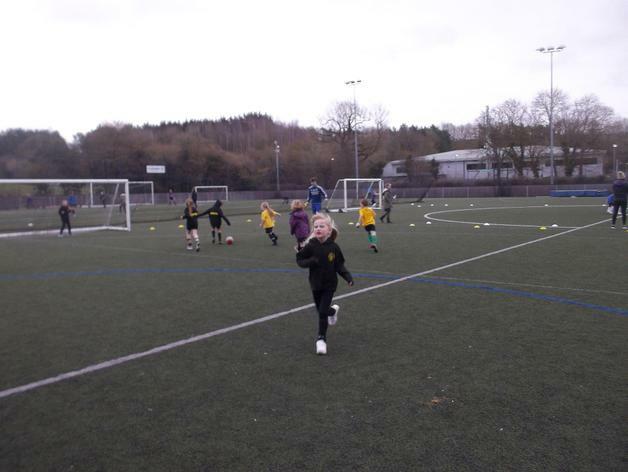 PE doesn't stop at the end of the school day however, and throughout the year we have a range of school clubs running including: football, hockey, gymnastics and Keep Moving. 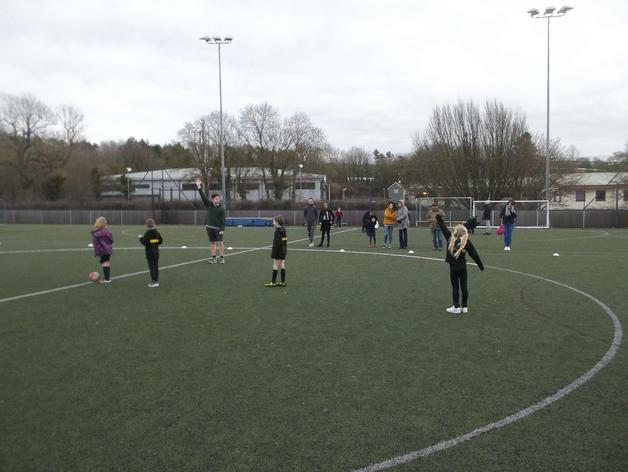 Although we enjoy taking part in a range of competitions and tournaments, our main aim is for as many children to participate and take part in sport as possible. 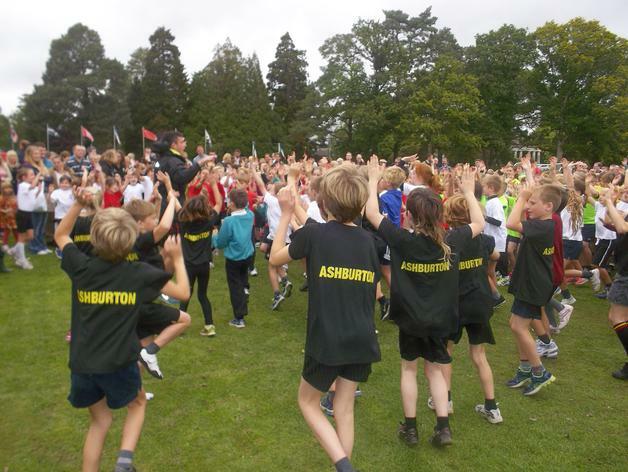 Our vision is to create a school which values Physical Education, Daily Physical Activity and School Sport and places this at the heart of the children’s learning with a commitment to lifelong fitness, health and well-being. 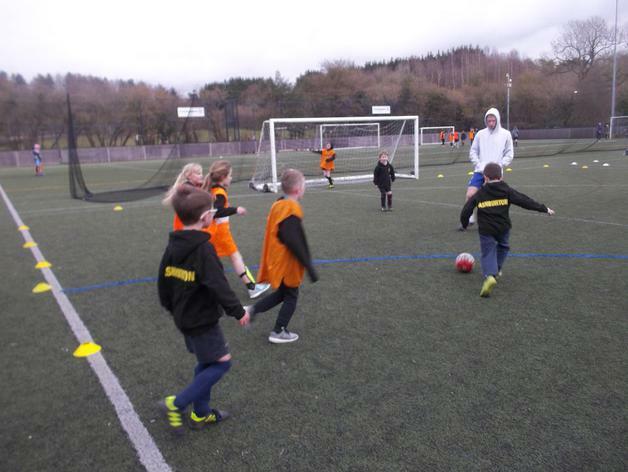 We aim to ensure that all children’s experiences of physical activity are enjoyable and meaningful, enabling them to achieve and progress to their maximum potential. 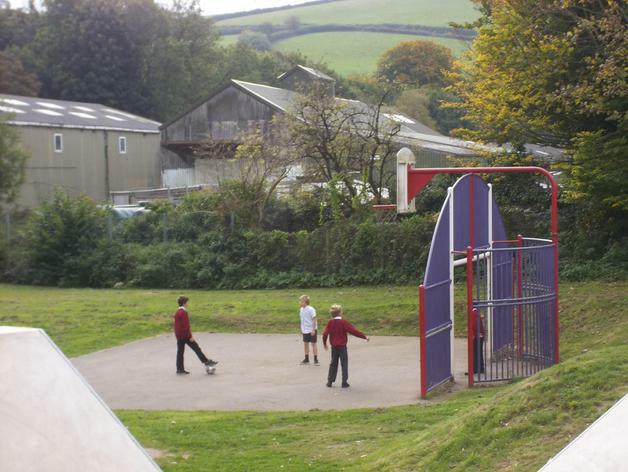 We actively encourage high standards in Physical Education, Daily Physical Activity and School Sports, through developing exemplary practice in learning and teaching, effective leadership and management and expert advice and support from Dartmoor School Sports Partnership. 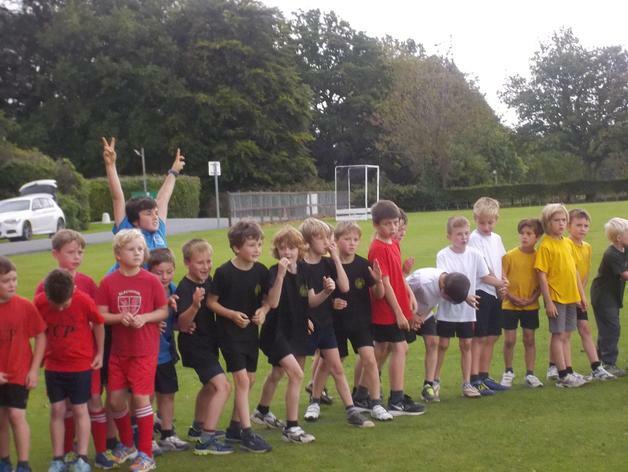 Our aim is to develop and instil children to be active, energetic, confident, self-motivated, resilient, responsible and reflective individuals and leaders, who are able to use and value physical activity within their lives in preparation for living in a competitive, challenging and diverse world. Sport Premium Funding is money allocated to schools, from the government, to improve the provision of PE and School Sport. 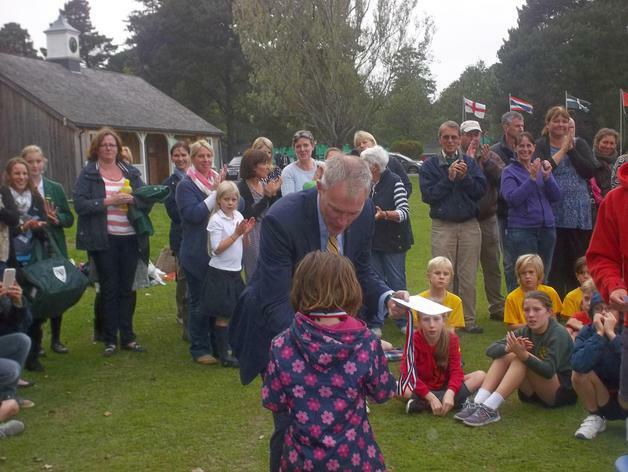 This funding is allocated directly to schools and can only be spent on the provision of PE and sport in schools. This money has been committed to schools until 2020. 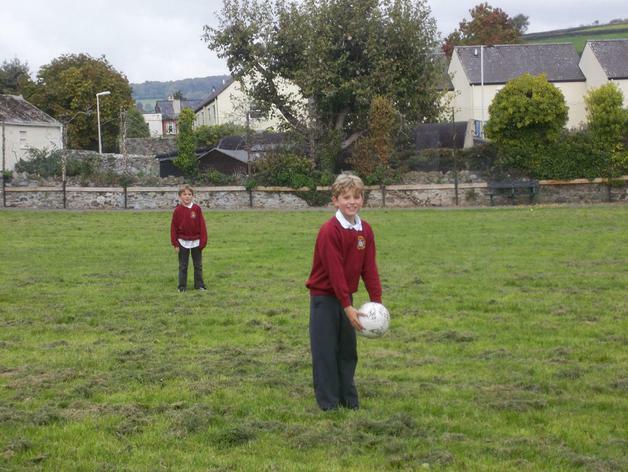 Engaging all pupils in regular physical activity that will enable them to have a healthy, active lifestyle. Increasing participation in competitive sport. 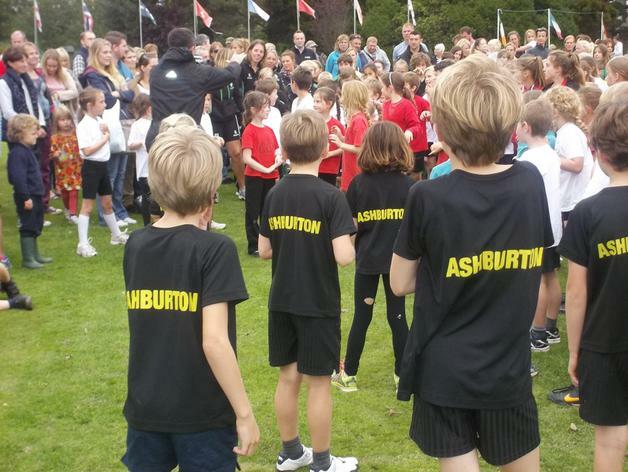 How is the Sport Premium spent at Ashburton Primary School? 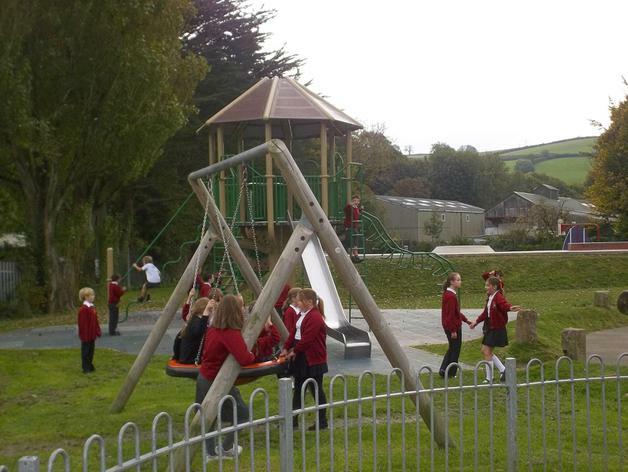 Ashburton Primary School is part of the South Dartmoor Learning Community; a partnership of schools who work together to share practice for the benefit of the children and plan a range of events for schools and children to take part in. 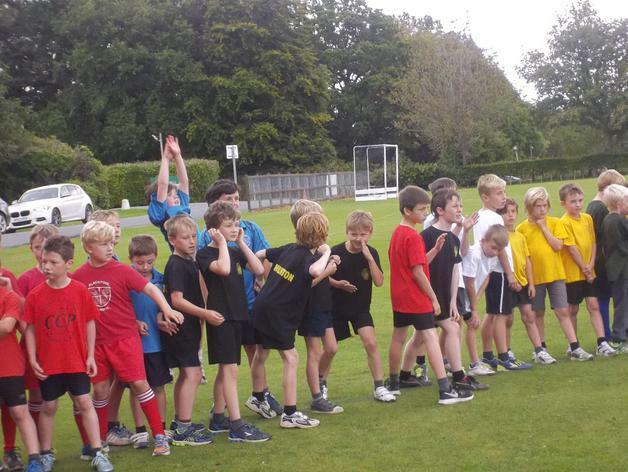 We subscribe to the School Sport Partnership (SSP) and are therefore able to participate in sporting festivals and competitions as well as receive support from other teachers and PE specialists to developing learning and teaching in PE. Well done Noah - what a fantastic swimmer you are! Well done to them all and we look forward to many more matches. We have a fantastic group of gymnasts who have just been awarded their Level 8 Award. The children have been working on this award at their early morning gymnastic club (run by Premier Sports on a Friday morning). 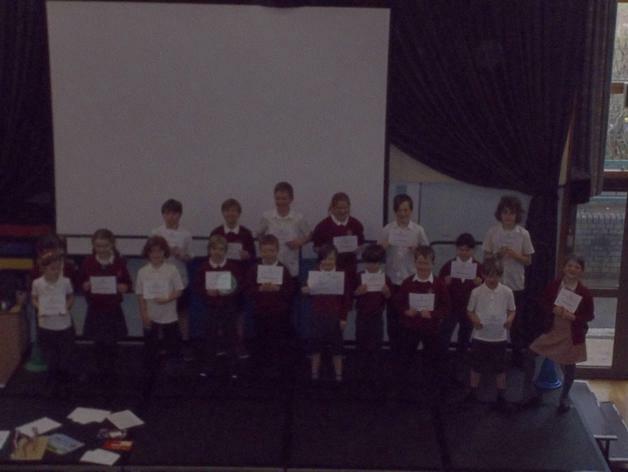 Well done to you all and we look forward to seeing your next achievements! 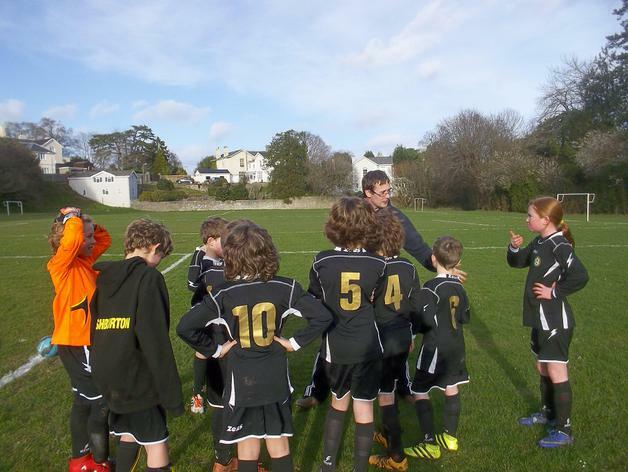 Our Year 5/6 Football Team have played several league matches this year. 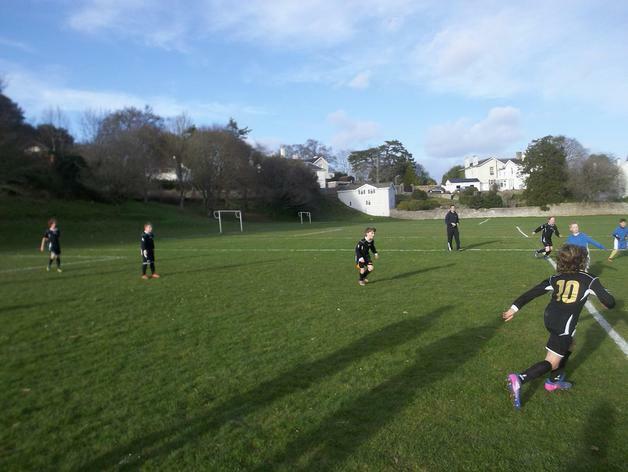 At the end of February they played in a tournament with three other schools: Decoy, Kingskerswell and Canada Hill. 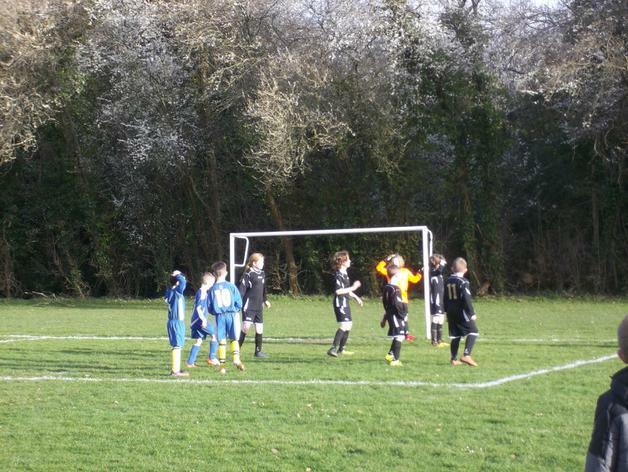 The team played brilliantly together and although they didn't win, their skills as a team are really developing. 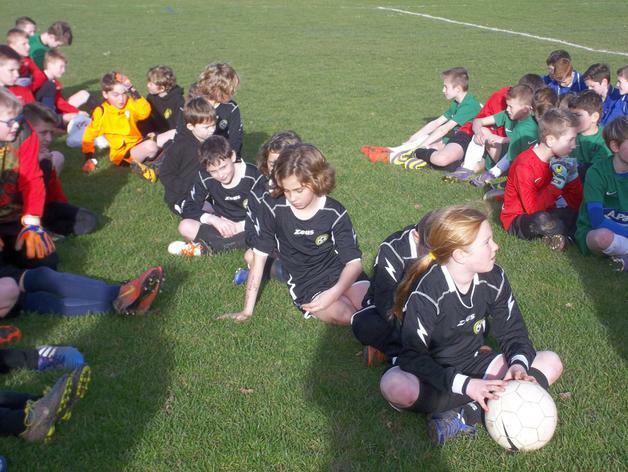 Well done to everyone in the team and Mr Southgate and Mrs Wilson for coaching our football team this year. 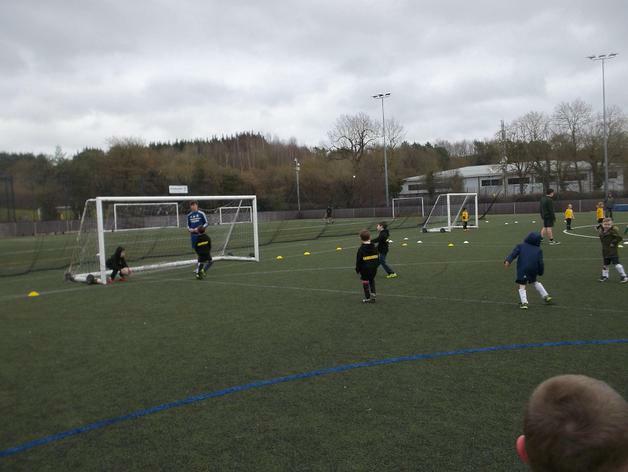 Congratulations to the football team that took part in the tournament at SDCC on Monday 14th November. They played very well winning 2 games, drawing 2 games and losing one. 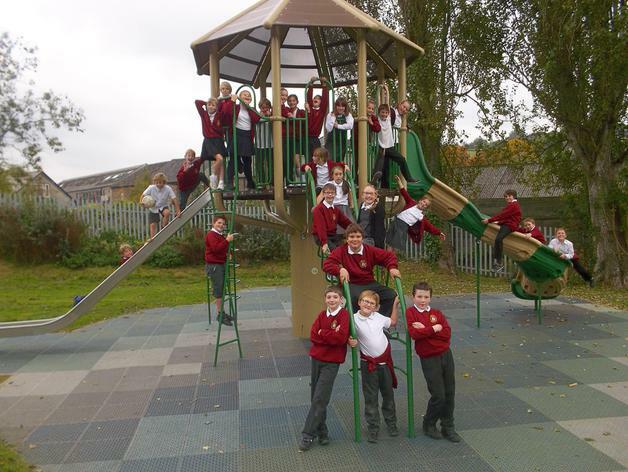 Our Play Leader Crew enjoyed a well deserved treat and visited the local park for fun and active games on Friday 16th October! 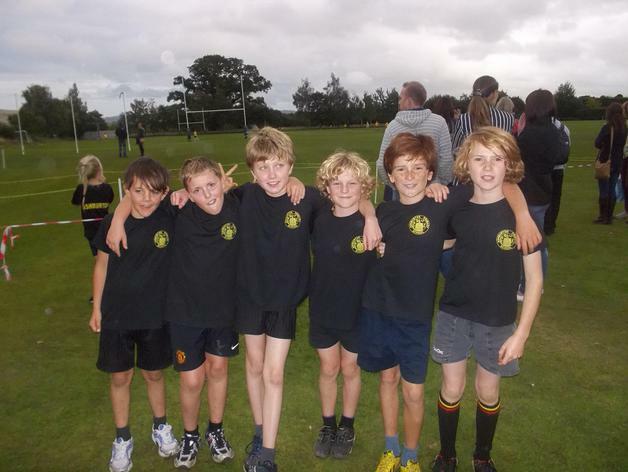 A team of 15 children, representing Key Stage 2, went to the first of three cross country events to be held this year. 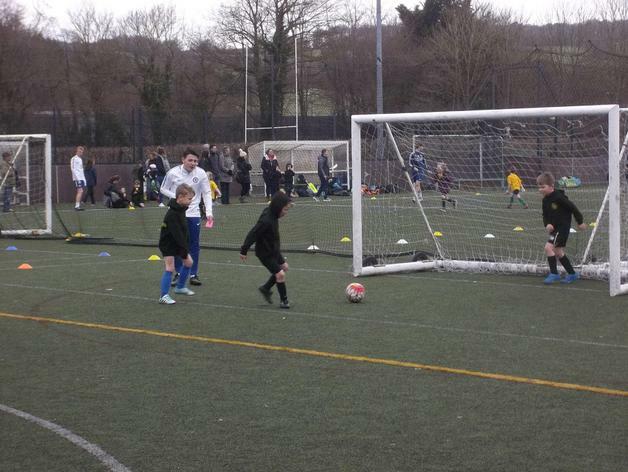 The event was held at Stover School in Newton Abbot and luckily the weather was dry, bright and not too cold. 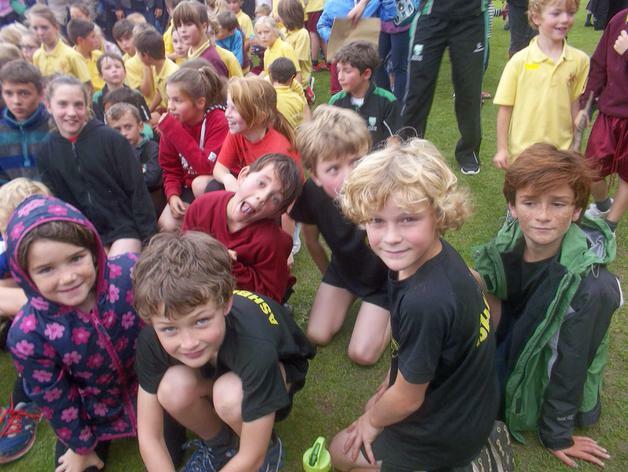 All of the team ran brilliantly and were fantastic ambassadors for our school. 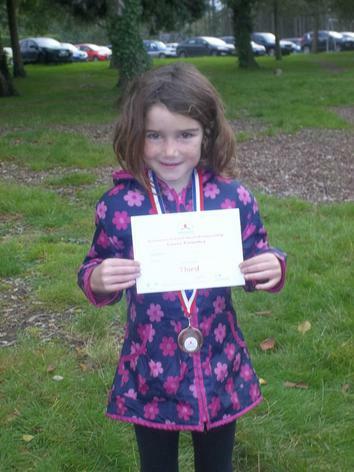 A special congratulations goes to Maisie in Year 4 for winning the bronze medal in her race – what an achievement! Well done to everyone who took part and here’s to the next event!